Dans cet unique endroit de l'Amérique centrale où les glaciations du quaternaire ont laissé leur marque, une situation géographique particulière a permis des échanges génétiques entre la faune et la flore de l'Amérique du Nord et celles de l'Amérique du Sud. Des forêts tropicales couvrent la plus grande partie du site. Quatre tribus indiennes différentes habitent ce site, qui bénéficie d'une étroite coopération entre le Costa Rica et le Panamá. في هذا الموقع الفريد من نوعه في أمريكا الوسطى حيث خلّف جليد الدهر الرابع بصماته، موقع جغرافي فريدٌ من نوعه سمح بالتبادل الجيني بين أصناف أمريكا الشماليّة والجنوبيّة النباتيّة والحيوانيّة. وتغطّي غابات استوائيّة الجزء الأكبر من الموقع. وتقطن قبائل هنديّة مختلفة أربعة في هذا الموقع الذين يفيد من تعاونٍ وثيقٍ بين كوستاريكا وباناما. Этот уникальный уголок Центральной Америки, служивший мостом для соприкосновения флоры и фауны Северной Америки и Южной Америки, располагается там, где четвертичный ледник оставил свои следы. На этой территории, большая часть которой покрыта влажно-тропическими лесами, проживают четыре индейских племени. La ubicación geográfica de este sitio excepcional de Centroamérica –que conserva huellas de las glaciaciones de la Era Cuaternaria– ha facilitado el contacto entre la flora y la fauna de América del Norte y América del Sur. La mayor parte de la superficie de esta región, habitada por cuatro tribus indígenas distintas, está cubierta por bosques lluviosos tropicales. La conservación del sitio es objeto de una estrecha cooperación entre Costa Rica y Panamá. The Talamanca Range-La Amistad Reserves / La Amistad National Park extends along the border between Panama and Costa Rica. The transboundary property covers large tracts of the highest and wildest non-volcanic mountain range in Central America and is one of that region's outstanding conservation areas. The Talamanca Mountains contain one of the major remaining blocks of natural forest in Central America with no other protected area complex in Central America containing a comparable altitudinal variation. The property has many peaks exceeding 3,000 m.a.s.l. on both sides of the border, including Cerro Chirripo, the highest elevation in Costa Rica and all of southern Central America at 3,819 m.a.s.l. The surface area of the property 570,045 hectares, of which 221,000 hectares are on the Panamanian side. The beautiful and rugged mountain landscape harbours extraordinary biological and cultural diversity. Pre-ceramic archaeological sites indicate that the Talamanca Range has a history of many millennia of human occupation. There are several indigenous peoples on both sides of the border within and near the property. In terms of biological diversity, there is a wide range of ecosystems, an unusual richness of species per area unit and an extraordinary degree of endemism. The scenic mountains and foothills contain impressive footprints of Quaternary glaciation, such as glacial cirques, lakes and valleys shaped by glaciers, phenomena not found elsewhere in the region. The property is a large and mostly intact part of the land-bridge where the faunas and floras of North and South America have met. The enormous variety of environmental conditions, such as microclimate and altitude leads to an impressive spectrum of ecosystems. The many forest types include tropical lowland rainforest, montane forest, cloud forest and oak forest. Other particularities of major conservation value include high altitude bogs and Isthmus Paramo in the highest elevations, a rare tropical alpine grassland. Longstanding isolation of what can be described as an archipelago of mountain islands has favoured remarkable speciation and endemism. Some 10,000 flowering plants have been recorded. Many of the region's large mammals have important populations within the property, overall 215 species of mammals have been recorded. Around 600 species of birds have been documented, as well as some 250 species of reptiles and amphibians and 115 species of freshwater fish. Most taxonomic groups show a high degree of endemism. The large extension and the transboundary conservation approach entail a great potential for the management and conservation of an extraordinary large-scale mountain ecosystem shared by Costa Rica and Panama. Criterion (vii): The property harbours exceptionally beautiful mountain landscapes. Much of the rugged terrain is covered by vast forests. Within the region, the unusual high altitude grasslands are restricted to the property, allowing extraordinary panoramic views. The remarkable vestiges of Quaternary glaciation add to the particularity of the landscape through the cirques, shapes of valleys and glacial lakes. The Talamanca Range hosts countless rivers and creeks, some of them forming spectacular waterfalls. In addition to scenic values the Talamanca Mountains also have major spiritual value for local communities. Criterion (viii): The Talamanca Range is a very particular sample of the recent geological history of the Central American Isthmus, the relatively narrow strip of land connecting North and South America and separating the Pacific and Atlantic Oceans. The property shows impressive marks of Quaternary glacial activity, which has shaped glacial cirques, glacial lakes and deep, “U”-shaped valleys, which cannot be found anywhere else in Central America. Criterion (ix): As a large and mostly intact part of a geologically young land bridge, what is today the property is a meeting point of flora and fauna coming from North and South America. Many of the original species of the previously disconnected sub-continents reach their distribution boundaries in the Talamanca Mountains. Jointly with the climatic variation, the complex relief and huge altitudinal range and heterogeneity of many other environmental conditions this biogeographic location has resulted in a complex mosaic of ecosystems and habitats of global importance for conservation and science. The mosaic includes oak forests, different types of tropical rainforest, cloud forest and the rare high altitude bogs and grasslands. The latter, referred to as “Isthmus Paramo”, is regionally restricted to the property and extremely rich in endemic species. Evolutionary processes triggered a speciation with extraordinary levels of endemism across numerous taxonomic groups. Many endemic species are restricted to single peaks of the mountain range. Ecologically, these peaks can be compared to islands of an archipelago. Criterion (x): The property boasts an exuberant biological diversity of both flora and fauna with an elevated degree of endemism across numerous taxonomic groups, often exceeding one third of the species within a taxonomic group. The Talamanca Mountains host some 10,000 flowering plants and over 4,000 non-vascular plants. There are approximately 1,000 fern species and about 900 species of lichen. Many of the region's large mammals have important populations within the property; overall 215 species of mammals have been recorded. The property hosts viable populations of many rare, vulnerable and endangered species, which include all cat species of Central America, the endangered species Ornate Spider Monkey and Central American Tapir, as well as the vulnerable Black-crowned Central American Squirrel Monkey. Some 600 bird species include the resplendent Quetzal and several species of rare raptors. Other vertebrates include some 250 species of reptiles and amphibians and remarkable 115 species of freshwater fish. Of the amphibians, six species are restricted to the Cordillera, such as the endangered Splendid Poison Frog. The property comprises large parts of the Talamanca Mountains, including essential areas to maintain the visual integrity of the area's landscape beauty. The size and relative intactness enables the long term continuation of the processes that have shaped the ecosystems and habitats and their associated biological diversity. The rugged terrain, difficult access and the formal protection status have kept human impacts at bay. The vast transboundary complex of protected areas encompasses many environmental gradients, including an impressive altitudinal gradient. Thereby, the property offers a valuable opportunity for the conservation of viable populations of species requiring large ranges and habitat diversity in order to perform daily, seasonal or altitudinal migrations. The anticipated climate change casts a shadow on the property. At the same time, due to the size and altitudinal range, the property is expected to be more resilient than smaller, isolated protected areas. Despite the protection status, some threats are tangible or on the horizon and might impact on the integrity in the long term, therefore requiring careful attention. These include forest fires, illegal extraction of flora and fauna, encroachment and infrastructure plans. 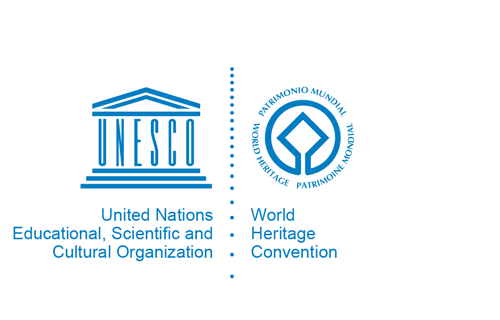 Following up on a joint declaration by the Presidents of the two countries in 1979, Costa Rica nominated several contiguous protected areas, which were inscribed on the World Heritage List in 1983. In 1990, Panama's adjacent La Amistad National Park was inscribed on the World Heritage List as an extension to the Costa Rican property, thereby forming one of the very few transboundary World Heritage properties, an excellent intergovernmental framework for coordinated and cooperative management and conservation. The bi-national Transboundary Protected Area Technical Commission monitors the agreement and steers negotiations between the many private and public groups and agencies active in Talamanca. In both countries, there is a strong legal and institutional framework for the protection and management of the individual protected areas, which belong to various categories. In this sense, management is under the authority of the national environmental authorities of both countries, which is also the source of basic financing. At the same time, there are many initiatives at the local level with the support of many conservation groups, including as regards financing. One of the particularities and indeed values of the property is the large size and composition of many contiguous components across an international border. This signifies a major potential in terms of securing the continuity of the ecological processes at the landscape level, but also a continuous challenge.